How do I make a healthy transition from Vegetarian to Vegan? Congratulations on your decision to go Vegan. Bravo to you! I love this question because you have included the word "healthy", which is really the most important part of going Vegan. Because how many times have you heard of someone who reads a book or an article, or watches a movie or video clip online that makes them so impassioned about standing up for the animals that they decide to go Vegan right then and there?! Definitely commendable! Sadly, they usually give no thought whatsoever about whether or not the vegan food they're eating is actually GOOD for them and providing the nutrients they need. "But I HAVE to save the animals!" they scream. So, what, they care more about the welfare of animals than they do about themselves? OY! I believe it's more important to change your diet in baby steps, as you are doing. First you went Vegetarian and sat with that for a while. You learned how to make it work for you, which likely included shopping, cooking, eating out, social situations, etc. Now, it's time to do exactly the same thing, but just take it another step forward. Going Vegan from Vegetarian is actually quite easy. "Vegetarian" means you have said goodbye to any foods which an animal had to actually lose its life for, which means meat of all kinds (yes, including chicken and fish) and any foods which contain these (examples include some soup broths, pasta sauces, and fish oil). As a "Vegan" you will release all the other animal products, which the animals did NOT have to lose their life for, including eggs, dairy (milk and cheese), and honey. Okay, okay, the way MOST animals are raised today to provide eggs, dairy, and honey DOES cost them their lives (read "Diet for a New America"), which is why it's important to opt for free-range and organics whenever possible. So your mission, as you have chosen to accept it, is to go Vegan which means saying farewell to eggs, dairy (milk and cheese), and honey. You have already taken the biggest step, and that is the MINDSET you need to change your diet. You have already done this on the road to Vegetarian. Okay, this one seems to be really difficult for most people. When someone says to me "I could NEVER give up my milk and cheese!" it makes me laugh -- I recognize an addict when I see one! Yes, bovine lactation fluids (as Jeff would say) are 100% addicting. Believe it or not, when samples of cow's milk have been analyzed, it is found to contain traces of morphine. Cows actually produce this chemical (along with codeine and other opiates) in their livers and it can end up in the milk. 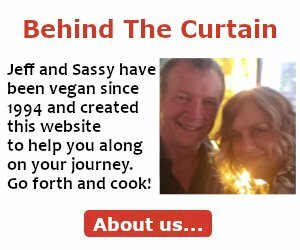 Check out my Best Vegan Books page and choose those which speak to you so you can educate yourself on vegan cooking and vegan nutrition. Lastly, if you use honey, replace it with a vegan sweetener. Okay, that sounds like a lot of stuff to do. But remember, there's no rush at all! Choose ONE thing on the list above and do it for a month (or more!) until you feel comfy with it. Then move to something else on the list. Hope this helps to get you started on the right foot. I've been vegetarian all my life, but was in denial about it until four years ago. Don't eat much dairy, so the transition seems like it would be smooth. Then I thought about my toast and butter, how I love it. What decent replacements are there for butter. And anyone else getting tired of the eye-rolling when out for dinner? I feel like such an apologist for my vegetarian decision, what's it going to be like as a vegan? good earth is a good butter replacement. to the comment above me. I just wanted to say thanks for posting this. I always tried to go vegan overnight and i always burnt out and went back to my comfort zone vegetarian. I love cheese and im glad you gave info about why that love is so strong lol. I was leaning on the vegan cheeses but there costly and sometimes not so hot. thanks for the insight and i will go on the gradual part, mostly likely slow (a couple months) so when i get to vegan i can stay there instead of cracking under pressure for a dairy appetizer. I went "cold turkey" from typical american diet to vegetarian ~30 yrs ago - then when my son pointed out that dairy cattle and chickens have as bad a life as beef cattle and he was going vegan, so did I.
no transitioning needed. I think it might be easier to just quit eating cheese, eggs, etc. overnight rather than drag it out and mourn what you will miss.
. A pal that was raised on a hog farm told me they feed it to the hogs to make them eat more - it increases their appetites...not something you will see on the commercials for "...it does a body good.."
Honey is probably the easiest the cut out. I'm also turning vegan for health purposes. Can you recommend websites and/ support groups to help me with planning my meals, etc? I am 19 and I have been a vegetarian for a little over three years now.And it has helped me lose 70 pounds :) But recently I have noticed dairy products were starting to really mess with me. The last week especially, I was cramping badly in my stomach after meals (with dairy in them). And I have always wanted to go vegan, but since coming to college and having to live off the food at my dining hall... I know it will be challenging! Any suggestions? Seeing as many people are naturally lactose intolerant, I'm not surprised to hear this. Perhaps since going Veg you have been eating a higher percentage of dairy products which is why you have noticed this change? I recommend you ditch the dairy to see how you feel. You might be interested in reading this advice for an on-the-go college Vegan. You'll likely find some tips that you can use. 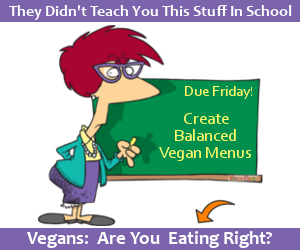 If you need further assistance to actually make the leap to "go Vegan", I recommend my eCourse Plan It With Sass! I'd been vegetarian for 4 years before going vegan. I made it for about four months--I missed my cheese and eggs too much. In fact, I recently started eating fish as well. It became apparent to me how much of a pain it was becoming for my kids. While I would cook meat for them, they chose not to eat it in front of me. They simply started spending more time at mom's. When the younger one told me she was going pescetarian, so did I. Yes, they are sentient beings as well, but along with alienating my kids, friends were reluctant to struggle with vegetarian dishes for dinner when inviting me over. Not the happiest with this compromise, but it felt necessary. I'm staying in this group because my kids will be grown in a couple of years, then I can reassess. It can be tough to be the only vegan in the family. I don't love when people become sort of like "vegan police" and insist you are either 100% vegan or a failure in life! I like that you're doing what you can to make it work for your current situation. If vegan-wanna-be's can be encouraged to do one little step at a time instead of having to go whole-hog (ummmmm...so to speak) we would have more people who continue on the path to veganism in a happy and well-balanced way. Because it is, after all, the healthiest diet and a goal to shoot for in the long term. Do the best you can, always. XO! I've been vegetarian for over a year now, with the casual meat try every few months. I travel to different destinations to visit friends and like taking a bite or two from their traditional foods. Not sure if I'll stop doing that when I become vegan, just have to see how I feel about it. I've been living in northern Europe for the past few years and have had no problems becoming vegetarian or eating healthy. Relatively easy as there are all kinds of food intolerance, so everything everywhere is described to the smallest detail. As I'm about to finish my education I would like to go home to Bulgaria and hopefully turn Vegan. I can say it would be easier as everything is in my native language and I can search and find things just by asking people around. Sadly, there's a huge lack of information and understanding, but I want to do it for my health and I stay positive. Now to the actual question I have for you. Should I go to the doctor, get a check up, some blood work done, should I keep on going for the future on regular check ups to follow up if there are any deficiencies, etc? I've found one which believes in Veganism and he is all about curing diseases with proper food intake. I hope to bring my mum to him one day, for her to get better. She is overweight as am I, but she has high blood pressure and all kind of pains that I'm sure will go away once she starts eating properly. Last but not least I would like to thank you. I've been struggling for months to find information on certain topics and I was refreshed to find answers in here :) I'll keep on reading! Testing Is A Good Idea! I totally recommend you get a few tests done for a couple reasons. Firstly, so you have a baseline of sorts that you and your doctor can refer to going into the future. 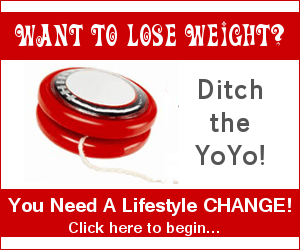 And also so you can have peace of mind that you're on the right track with your diet. For instance, not too long ago I had my B12 levels tested because after nearly 20 years as a vegan (at the time) I had never checked it! Turns out I had waaaaaay more B12 than I need -- it was off the charts. So I backed off on my B12 supplements, having one once every couple days instead of once/day. I might get it checked again at some point to see if the levels are still high, and if so back off even further. So...it can never, ever hurt to get some blood work done, in my humble opinion. Your doctor sounds very cool. For those who live in the U.S. whose insurance may not cover blood work, saliva tests, etc., I like HealthCheckUSA -- they're affordable, easy to work with, and you can share the results with your doctor. I watched Vegucated on Netflix. And it really opened my eyes to the whole picture. I have an issue with no resteraunts close by that are vegan. Let alone the fact the only place to buy healthy foods in Chucks Natural food store. AND IT IS EXPENSIVE! I am a single Mom 2 teens no child support 1 income. And struggle to maintain their meat eating diet and my vegetarian diet. Wanting to go vegan. Ive done parasite cleanses like Hulda Clark and take DE. I have no taste for certain things. Anymore. But what products can I buy if all my options are Walmart? Sams club? etc. What is available that is just like a boiled egg? I do not drink milk anymore so that is no issue. I use coconut milk. No honey, I use agave. Just cheese/eggs is the issue. What about eating out? They just are NOT vegan friendly at all. I have had to special order items to make them vegetarian. I have NO support from my family. Who are Christians but yet over look Genesis 1:29. Talking about the NEW covenant and the clean animals, given to us. (Which are all vegetarians themselves go figure) And they are oblivious to the weight meat eating has on global warming and the enviroment with waste build up, burps, farts, breath of animals emitting gases etc. I have no friends now. ALL I have is my kids and 1 neighbor. As all my friends were meat eaters. ANd think I am crazy. At work I am always left out in the cold for pot lucks. Nobody even wants to entertain the idea no matter how many informative emails I send out. No matter the fact they saw me on leave for cancer. that here I am 5 years later, with out. All due to diet changes and staying alkaline! I wish I had just ONE friend who was vegan. Somewhere I can go to watch them make dinners. Etc. Thanks for your thoughtful note and for asking some very important questions. I want you to know that you're not alone. There are many other people out there who are having many of the same challenges that you are! If you're a Facebooker, you can click here to visit this post and the corresponding responses on Facebook -- feel free to respond to each individually if you'd like. But in case you aren't on Facebook, I'll add their responses for you below so you can read what they have to say. Hope this helps, and thanks for being here. Sending a giant hug your way. xo! The hardest part about being vegan, as you are noticing, is feeling that you're on a different page than family and friends. The comments will keep coming, but how you handle them will affect some people in the most unexpected ways! I used to get angry and defensive when people would ask where I get my protein, tell me that God intended for us to eat animals, or clucked their tongue every time I sneezed. What worked for me was being confident and at peace with my decision (it shows on the outside!) and responding with simple answers like, "Well, I respect that we have different opinions about what healthy eating is. This is what makes me happy, though. I'll never push what I've learned on to you but if you'd like to know more, feel free to ask." Once some people realize that you're not a militant vegan who is out to condemn all carnivores, you'll be surprised to see that sometimes (no, not always) walls will actually come down. Even halfway down (in the case of my husband) means something! Best of luck to you in your journey! Awe, I feel her. My heart aches for her situation, it seems unfair that even though she is doing this primarily for obvious health reasons, they still don't understand. Someone WILL. Many WILL. Trust me, people are just scared of what they don't understand. Keep those positive, inclusive, informative emails going out! Love that you are doing that. As for vegan eating out, I felt the same, even prep scares me at a lot of restaurants. I now know which of my local restaurants are friendly to sub requests, and which have menu options that meet my dietary needs. Whenever I go out of town for appts or other, I try to take advantage of vegan restaurant options. You can do a search before you leave the house, can maybe even Groupon it and find a deal for your lunch out! For potlucks, I bring 2 dishes usually that I can eat, and take advantage of salads, other friendly dishes. Shopping- you can mostly shop at any store that's cheapest for you, and only use the other stores for specialty items that you can't live without, or want to treat yourself with if you have a grocery outlet near by, maybe try them couple times a month to see if they are carrying any of your special items? One last suggestion- check if you have a local gleaners or veggie co-op type program? The ones that you can pay a very small fee and donate a few hours of time, and in turn are able to get produce on a regular basis from that local program. I have a local gleaners, thankful for it. It's not an impossible transition. I receive daily grief from my bf for it, but being vegan is the only change that has improved my health without ripple. Plus the benefits to the planet and animals are endless. I'll never return. You CAN do this, and you DO have support. All of us. You WILL find more support around you, don't give up. Suggestion--- maybe if you add your state here, you could find a local buddy to provide mutual support, recipes, regular communication, etc? I'm sorry you are having such a difficult time. You need to do what is best for you. Once you are comfortable with it yourself it will be easier. So many people have food allergies now that restaurants are getting better at accommodating. I know a couple Pizza places in my area that will leave the cheese off or put on vegan cheese if we bring it! Beans, lentils, grains are awesome and inexpensive. Adding veggies, tomato sauce, salsa, to them gives great taste and variety. I do like the Gimme Lean "Sausage" by Light Life, it makes great "meatballs" that even my non-veg husband eats, it's a great substitute for recipes that call for ground meat. Sometimes meals like that are good transitions. 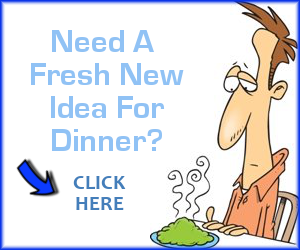 I have found that if I go to web sites of products I like there are many great recipes. I also like the idea of checking out for a local food co-op. Good luck. Oh, just to add to my comments, aside from recipes I also get coupons from some of my favorite product sites like So Delicious Dairy Free, Earth Balance, Go Veggie, Daiya, Light Life and so on. They also love to hear feedback on their products/recipes and will often send additional coupons when you take the time to send an email to them. Again the food co-op idea is also a great place to meet people with your same interests, many offer cooking classes from time to time. Mine will order items they don't have room to stock if you ask, I may need to buy a case which I can share with a friend if I don't want to pay for a whole case. Sites like Vegan Coach are great. It's possible to shop for vegan items at Walmart and Sam's Club. Both have grains and beans, frozen fruits and veggies, and pretty good produce departments. Walmart carries some organic options: I've seen Lundberg Family Farm products for sale there. It can be lonely to transition to a lifestyle that's so different from what people are used to. I'm lucky: my entire family is supportive but I have found that a vegan diet feels threatening to some people-I don't know why. The internet is a great place to connect with other vegans. She can try MeetUp: she may be surprised at how many others are in her area. She's welcome to connect with me. I have a blog where I talk about vegan products and trying to eat out as a vegan when everyone else eats meat. Anything I can do to support a fellow vegan! Buy what's in season. Whenever I want to make something vegan I just type in the name [into a search] and add "vegan recipe" and so many come up. As for eating cheap. Eat beans. I love a can of black eyed peas or cannelini beans strained with chopped tomatoes cucumbers and olive oil garlic and balsamic vinegar it's so fast and cheap. "What is available that is just like a boiled egg?" I don't think there is any product out there like a boiled egg but it is a great example of how things change. When you go vegan you just have to accept that some things ae gone. You could theoretically make a fake boiled egg, but would you really want to eat it? 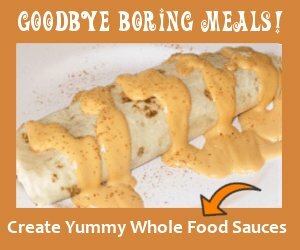 I felt so much better and became much more creative with cooking when I stopped trying to replicate food I used to eat. My advice is to make sure your meals are balanced and get enough protein (often my mistake). I've always wanted to be vegan but I always fail to keep up wit it, I only would like to become vegan to live a heathier life style. it's just so damn hard! Im trying to follow your recommendations but the diet is hard for me :/ any tips? I'm really trying and I want to succeed! I'm trying to loose weight to because I am very heavy for my height. if you get back thanks! !! Any suggestions on how to stop eating dessert and baked goods besides not eating dessert and baked goods right away? Thanks. 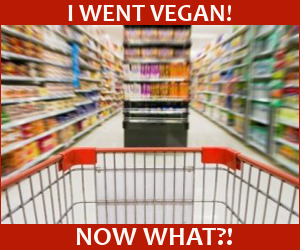 My journey from blood and starch to pescatarian to vegetarian and now vegan was a matter of life or death, Why? Because on top of being 5'5 and 284 lbs I had gall bladder disease and esophogeal dismotility and acid reflux and diverticulosis and changing my eating was my only option. At 38yrs old I had no idea that once I started eating whole plant based foods that our bodys have a natural way of healing itself but at first, i tried everything I read to cure my gall bladder to no avail, detoxes, spin classes kickboxing low carb diet popcorn diet grapefruit diet along with every diet pill u name it! I had some relief by just getting rid of blood and starch, i was healed of esophogus diease acid reflux and diverticulosis but i needed to go further. I had to have my gall bladder taken out and adapted to a whole food plant based eating lifestyle and let me tell you, I AM 1000x better inside and out! Its so worth it guys. What helps me with recipes for meals and desserts are YouTube sites like fullyrawkristina, rawvana engish, tastemade, sweet potatoe soul, cookingwithplants and others. My kickoff however was with understanding how to go from acid to alkaline and getting the mucus out of my body which began with Dr. Sebi, so filled with amazing info, so that coupled with prayer, it will change your life but only if you approach learning with a very open mind. Be encouraged everyone! Hello there, I have been a vegetarian since I was 10, I am now 22, In my personal opinion I don't think it's right too eat animals, I love them as my pets but couldn't physically eat them, my partner eats meat and my daughter is 10 months and also has meat, (though she does prefer my vegetarian food haha), so when the time comes where she wants to know about why 'mummy doesn't eat meat' I will tell her and then it's up too her too decide. I don't ever want to push my choices onto anyone else. But I have been recently looking into cutting out milk, eggs, and cheese. (I don't eat honey) I have recently been healthy eating, and have not been eating cheese, or butter, and even eggs with my food. But I have never really thought about what my food may contain! For example I made a curry and read the jar and it has cream in, so the next time I made it all from scratch so I knew what was in it! Basically I would love to become vegan, I feel with my beliefs it is best for me! Or atleast all organic. I have been considering getting chickens and a duck for a while now. Hi, thanks for such a nice article. I am from India and we do not have many vegan options here in many of the items available in the market. We have dairy in almost everything - breads, cookies, chocolates, ice creams and even meals like curries and gravies. I really want to turn Vegan from Vegetarian for a a long time. I don't eat eggs. I think I can live without milky tea, shakes and all but not sure about the butter/ clarified butter part, curd and buttermilk also. What can be it's replacement? struggling at the thought! but want it. i am so freaking scared of going vegan as a vegetarian for roughly 25 years it seems like a huge step. lately i cry when i see animals eaten on tv but am not sure how to cut out dairy. CHEESE OFC! thanks for your article. i'm sort of a whole or nothing person and don't think i could do it slowly (erm, except not finishing my kimchi with fish LOL) but i know i can order vegan. sigh. i get so upset when i think about the change involved, but i get so upset when i think about abuse and attitudes of meat lovers. i don't think i can go on eating ANY animal product. such a rant! thank you. Thank You My Dear. I will investigate you're statements and analyze. THX. Al Kozak Jr.
After a recent hospital stay and a whole bunch problems revealed ( on the come back trail thankfully,) a vegan diet just simply appeals to me most. Taste buds just changed, and did me a favor! I’ve alwats been a pretty clean eater, but, always room to do better! Well, am in 30's, vegetarian all my life since my mun is veg herself and it was easy to have veg dishes for my meals. I wanted to go for vegan its been years now as i have put on a bit weight with cheese, butter and oil. Married nearly 1 year, my wife don't have any problem with vegetarian, veg meal etc.., she eat meat/eggs once a month or at a restaurant sometimes. Yesterday, was telling her that she can become vegan and we can both stop eating cheese, honey, butter as she was adapting really well with my eating habits. I would like to know what we need to check at health level before beginning with this journey; blood-test etc... Wanted to know being a vegan, what not to eat.